"Plays" was orginally released as a 7" vinyl by Mego in 1998 and a CD single by Moikai in 1999. 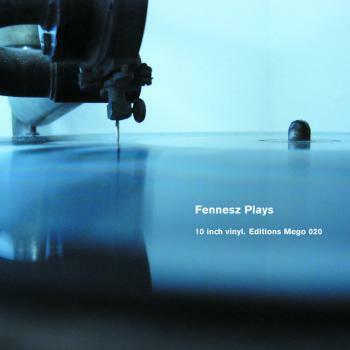 Its seen by many as the 'turning point' between early Fennesz electronic abstract works such as the "Instrument" 12" and "Hotel Paral.lel" CD, and the more guitar based works such as "Endless Summer" and "Venice". The two tracks featured; "Paint It Black" and "Don't Talk (Put Your Head On My Shoulder)" were intially released as cover versions of songs by The Rolling Stones and The Beach Boys respectively. Since then, the relevant mechanical and publishing rights societies have ruled that these tracks are so far removed the originals, that they should be considered as homages written by Christian Fennesz.